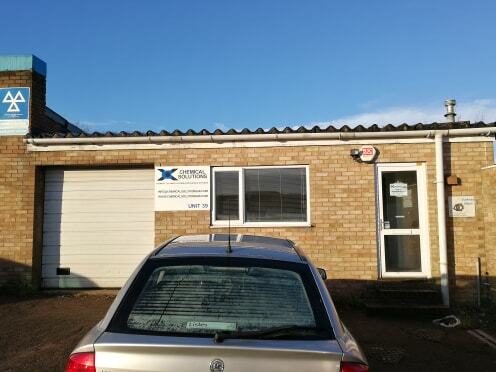 At the end of 2017 we moved into a new building located in Pin Green Industrial Estate, Stevenage. 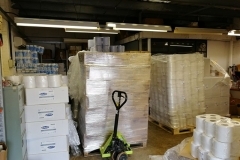 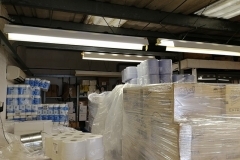 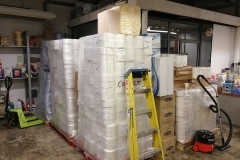 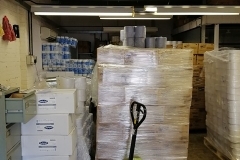 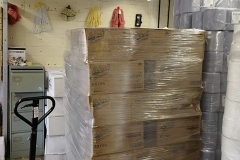 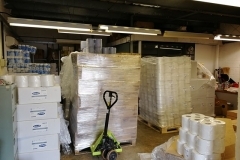 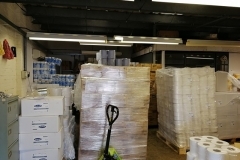 We felt we needed a bigger building to hold all of our stock but was also accessible to the public. 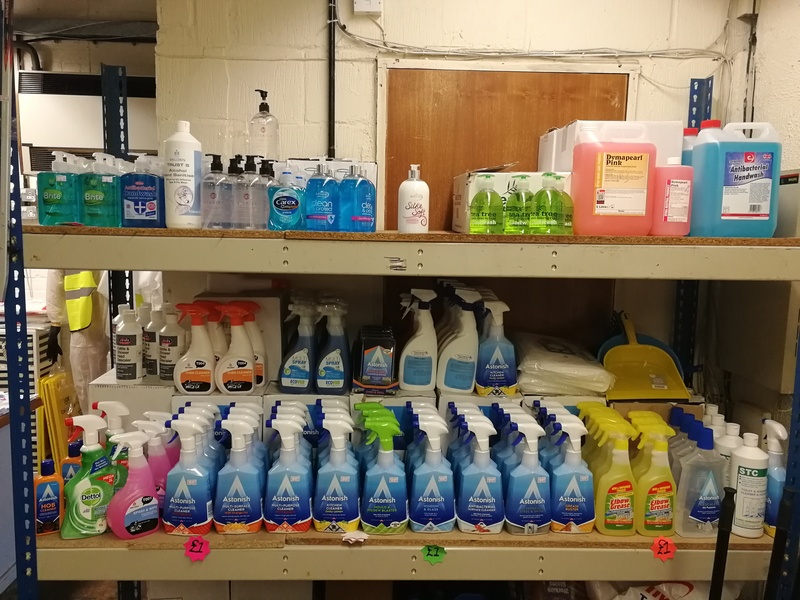 Our customers are extremely important to us and so the ability for them to come and visit us, whether to look at/purchase stock in person, or simply come and have a chat was a top priority. 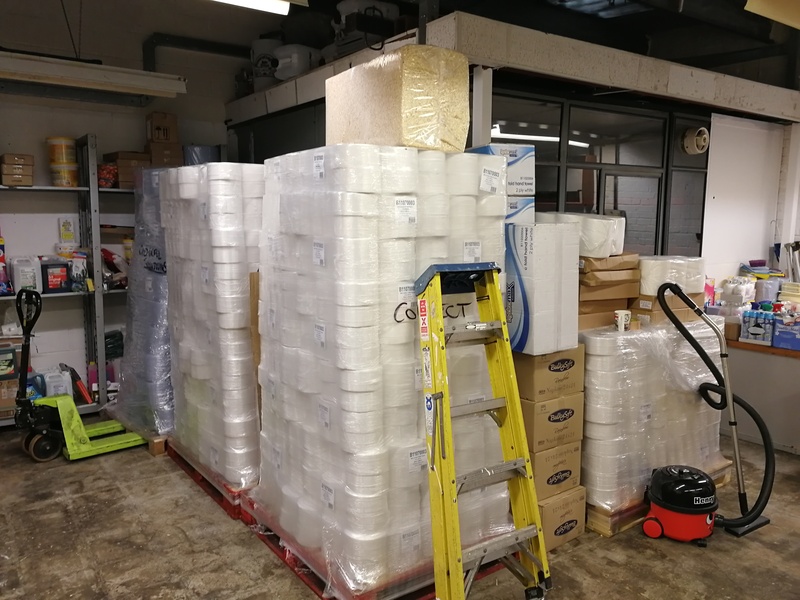 Its been a busy few months, running the company whilst moving in, but we are slowly but surely getting to where we want to be. 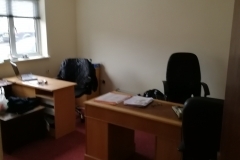 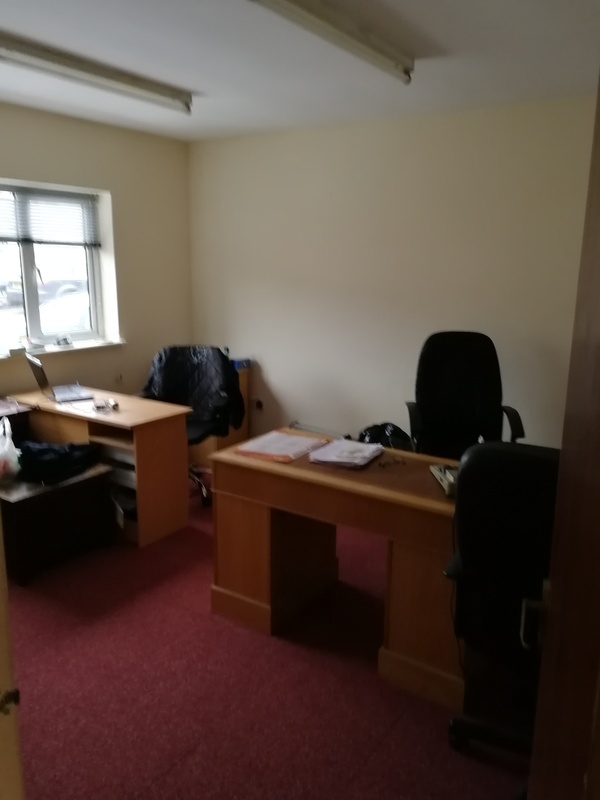 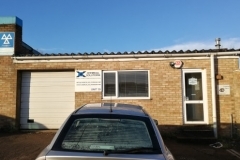 We have offices located at the front of the building, allowing customers, old and new, to come and have a chat or a meeting about whatever they wish. 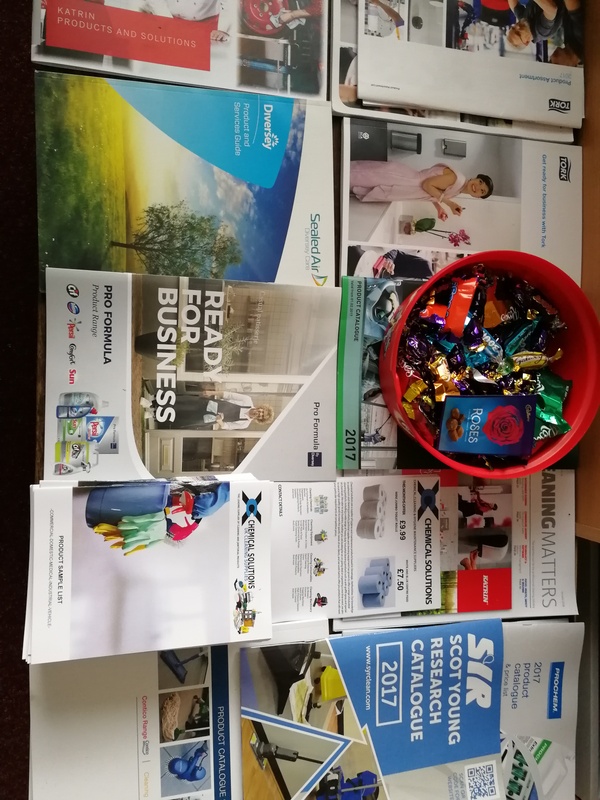 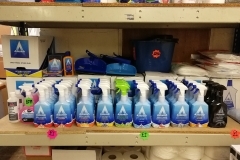 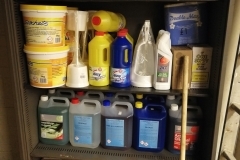 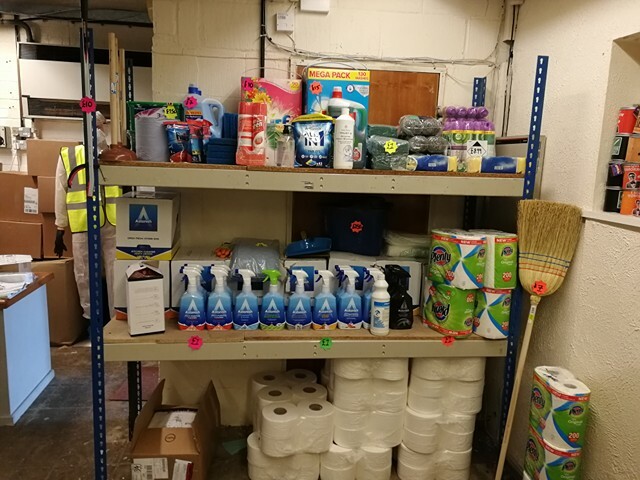 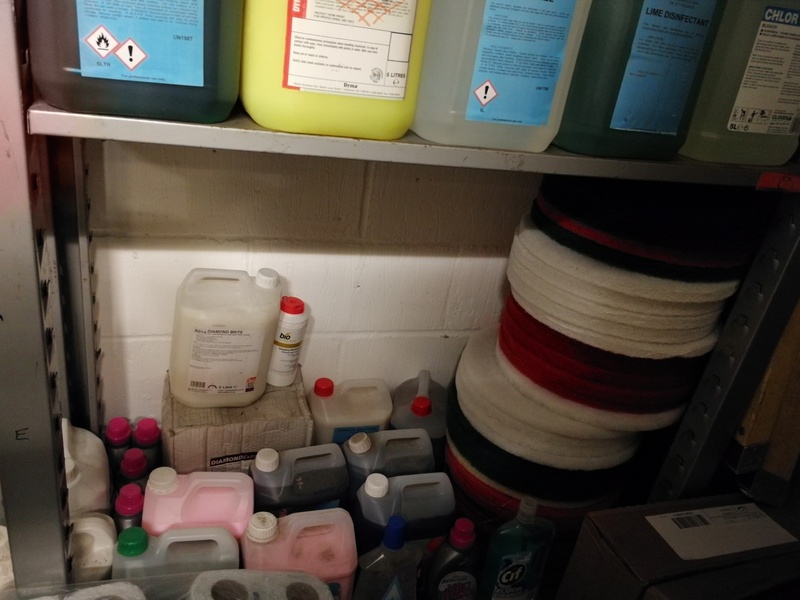 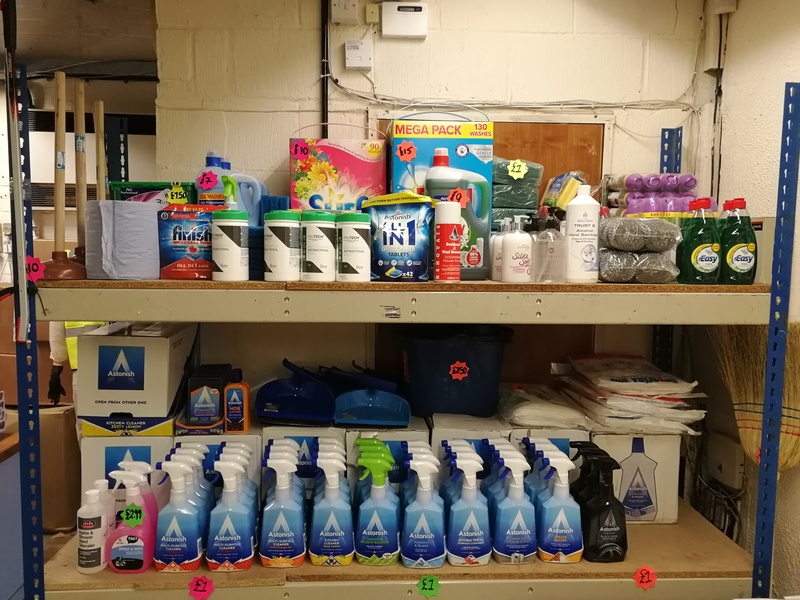 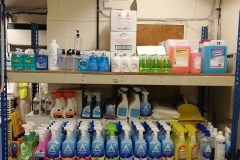 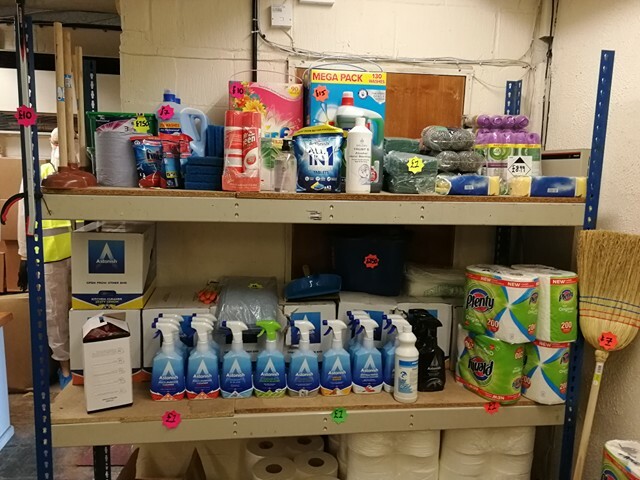 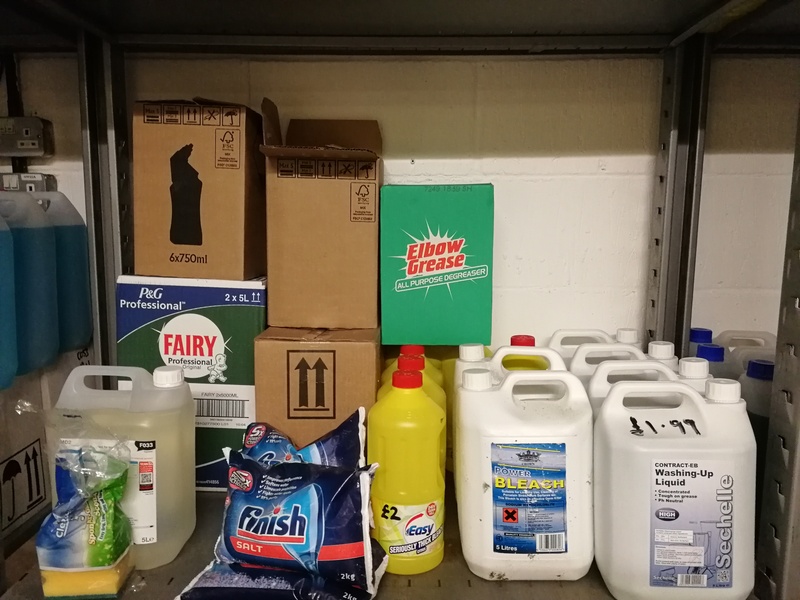 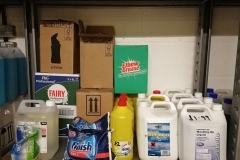 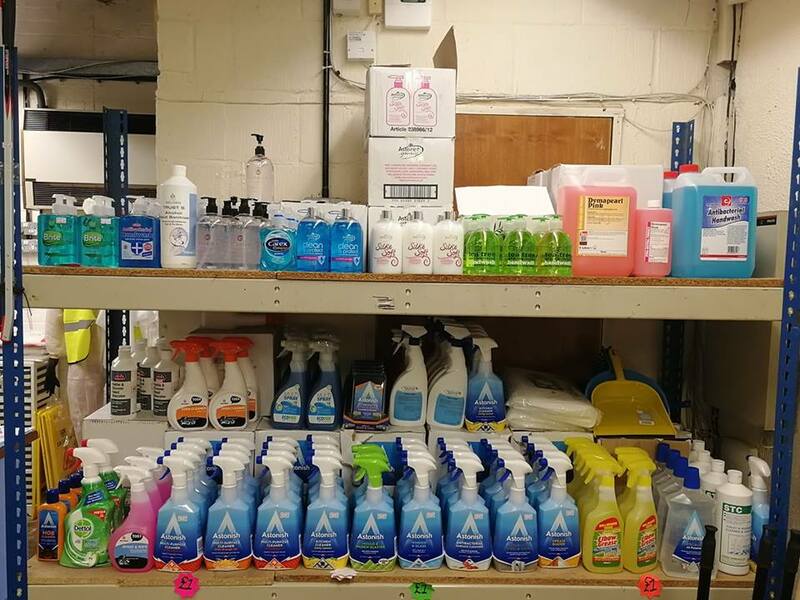 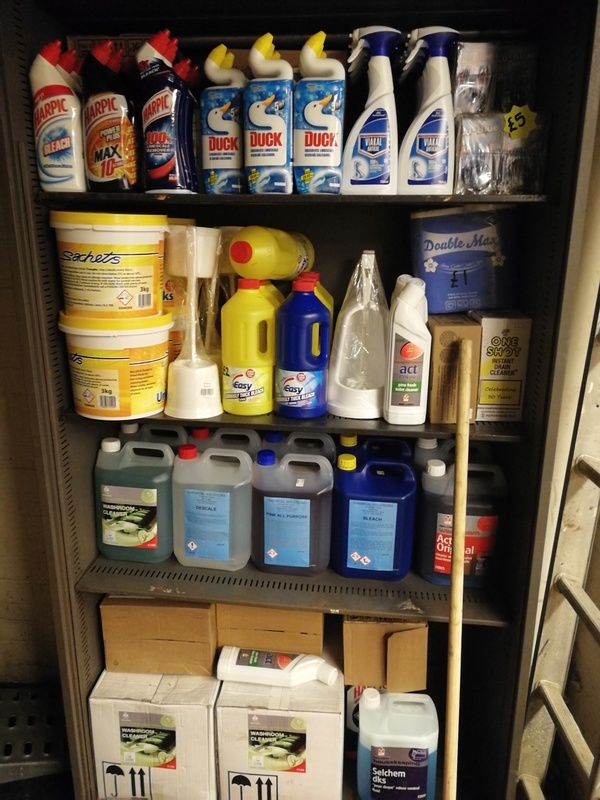 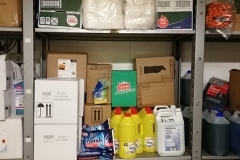 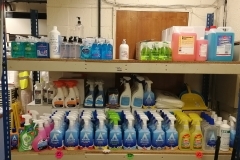 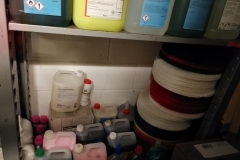 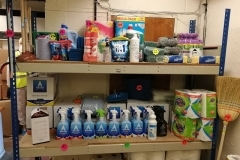 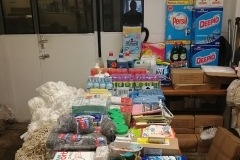 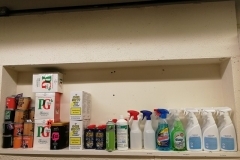 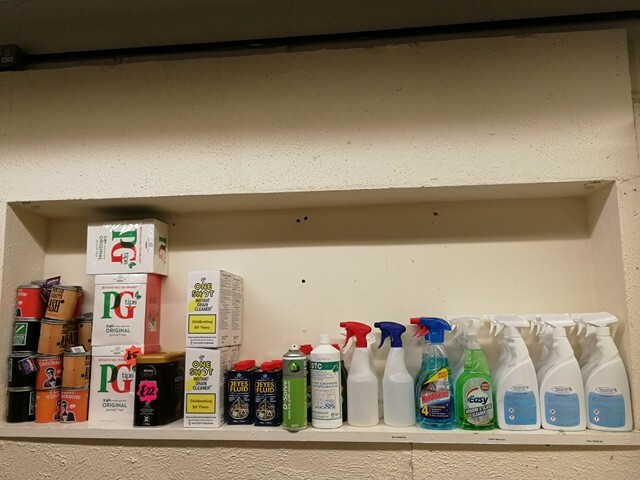 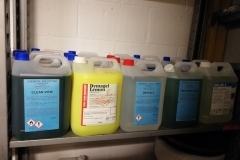 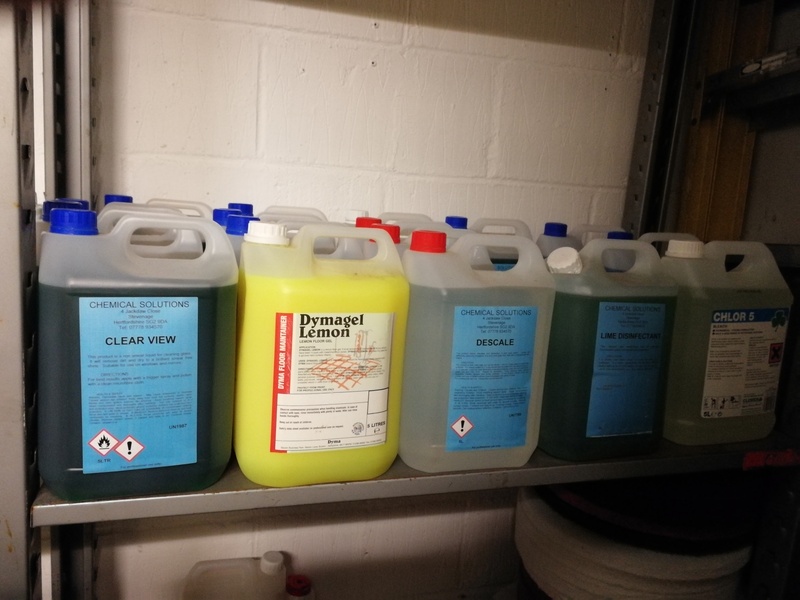 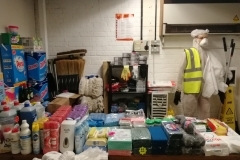 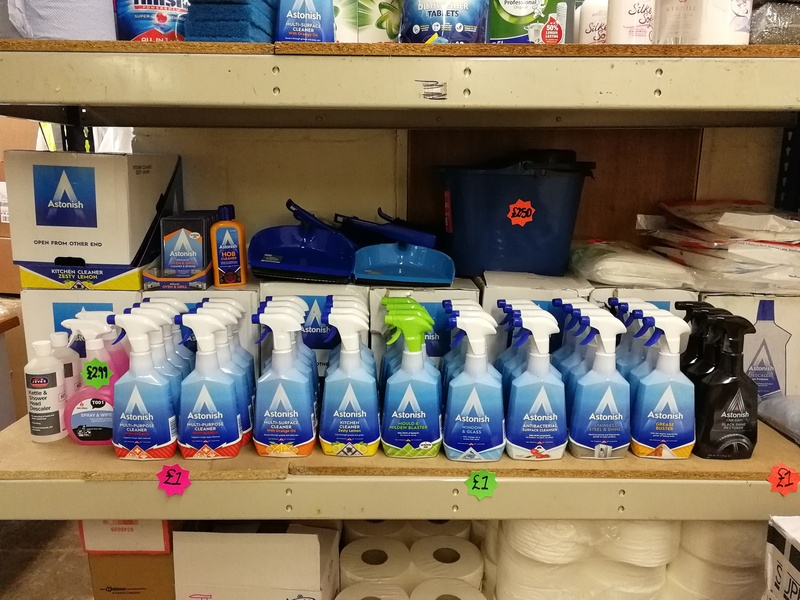 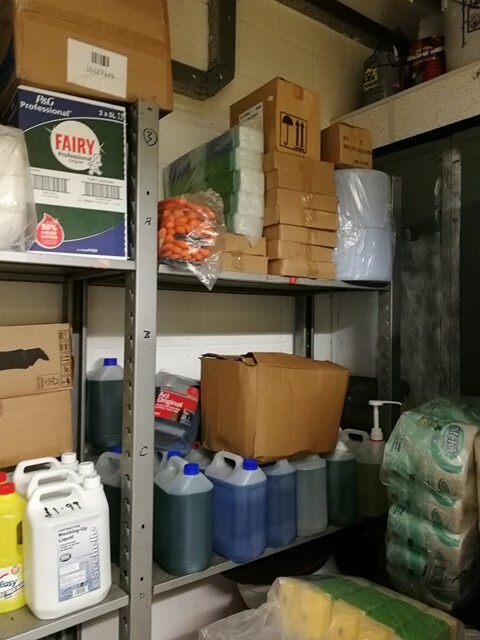 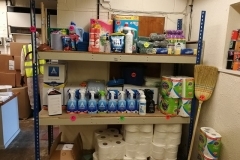 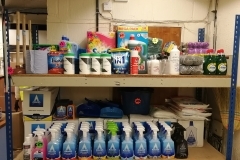 There is a table covered in the latest editions of cleaning supplies catalogues, along with our very own Chemical Solutions Sample Price List, and a tin of sweets just to tempt you that little bit more. 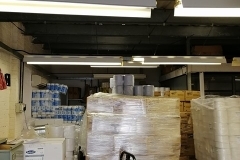 We accept cash, debit and credit card payments on site. 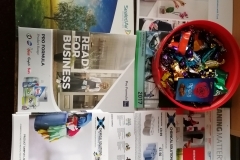 We have a Paypal card reader which allows us to make card/contactless payments. 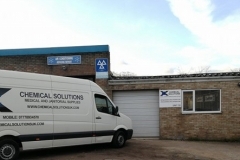 We no longer accept payments online via the website. 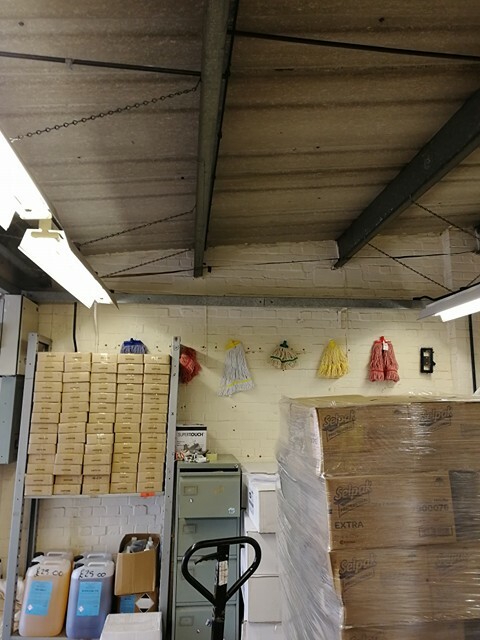 Towards the back of the building is where we keep our stock. 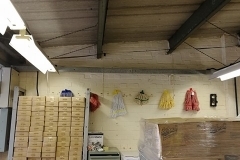 Visitors are more than welcome to come and have a look for themselves and even purchase items there and then. 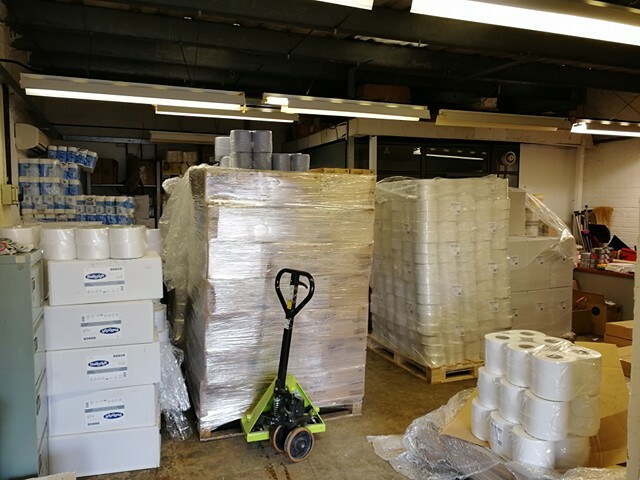 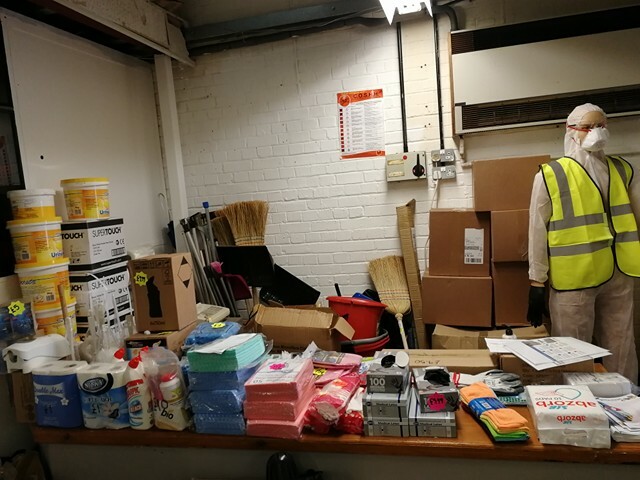 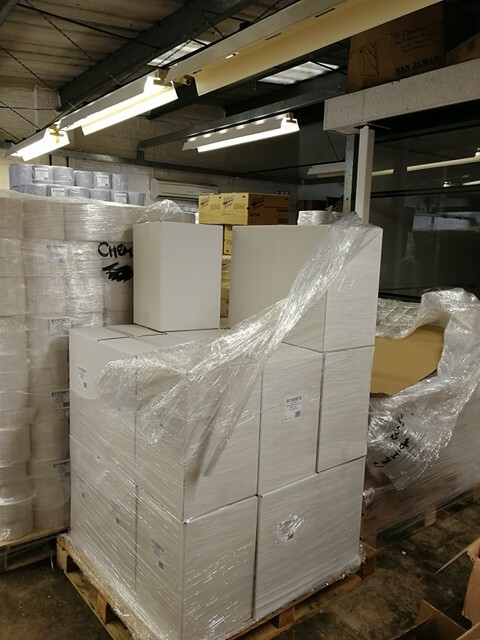 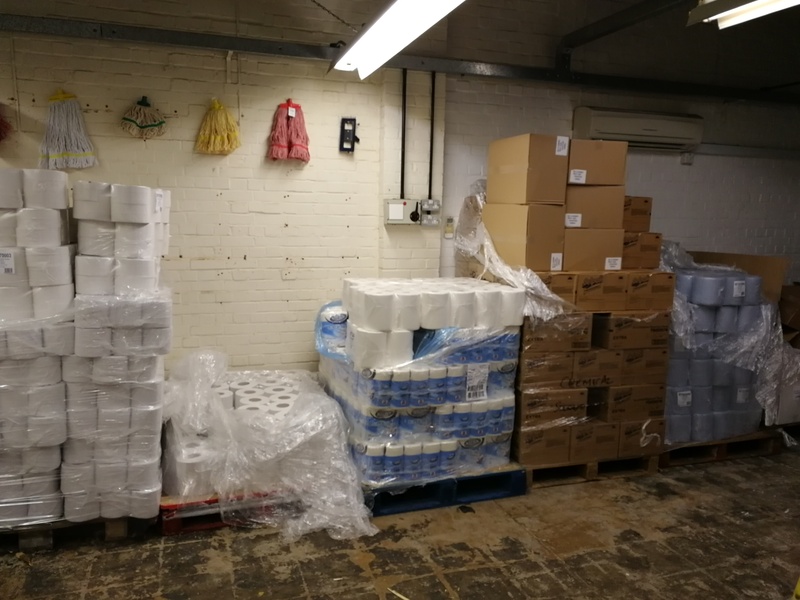 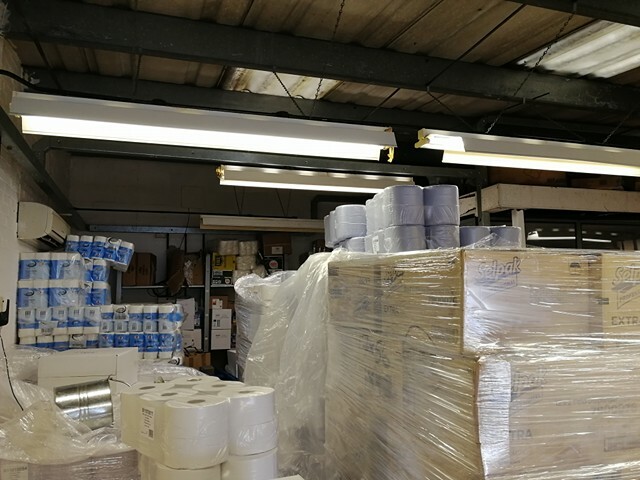 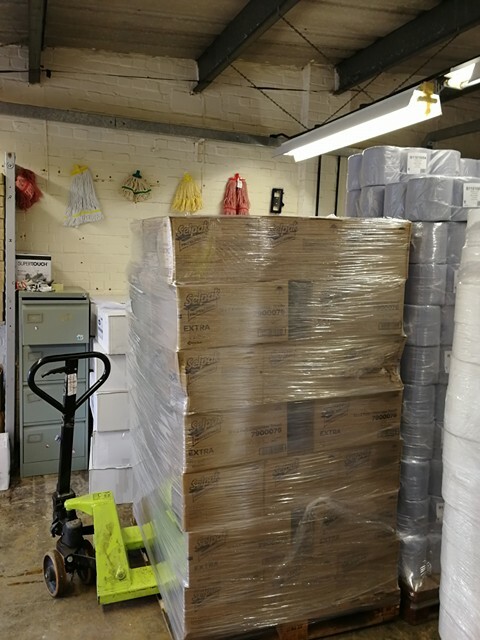 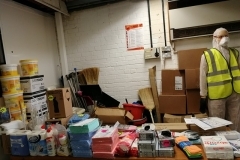 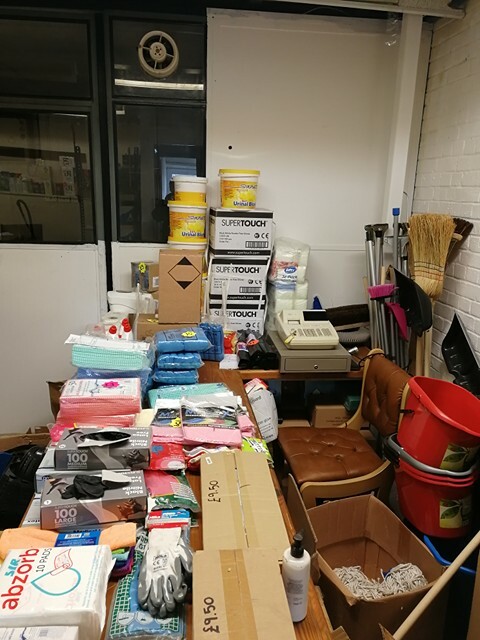 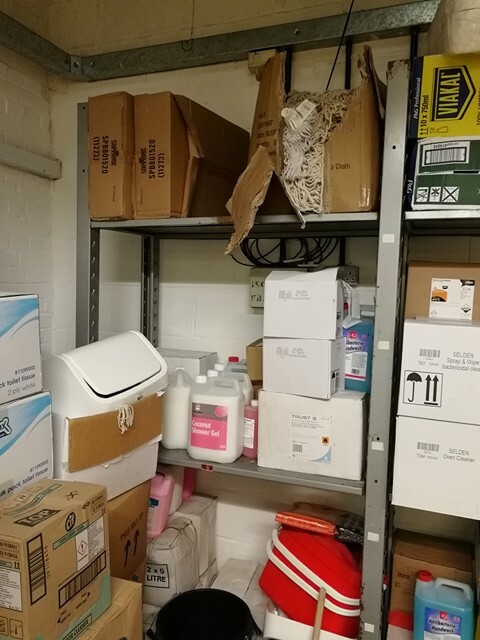 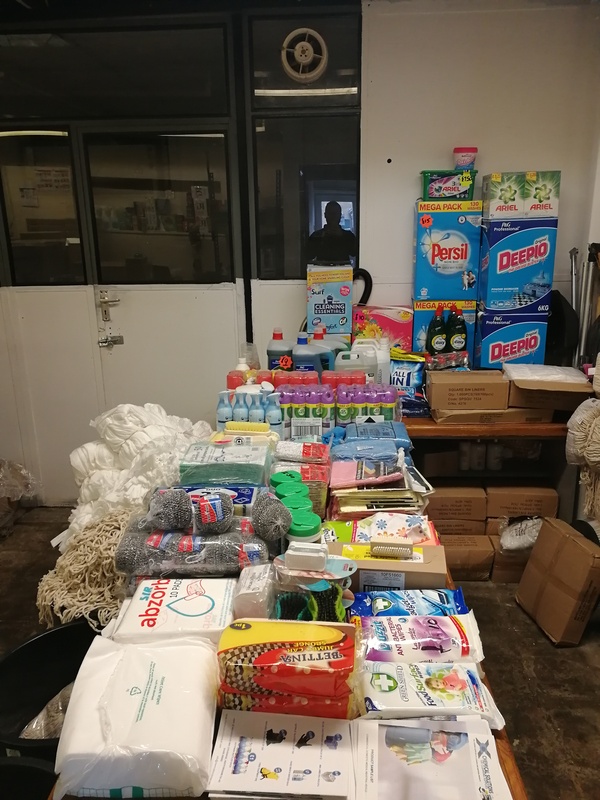 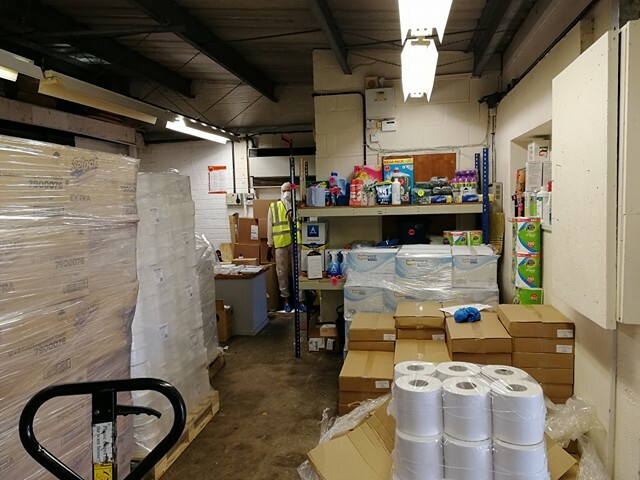 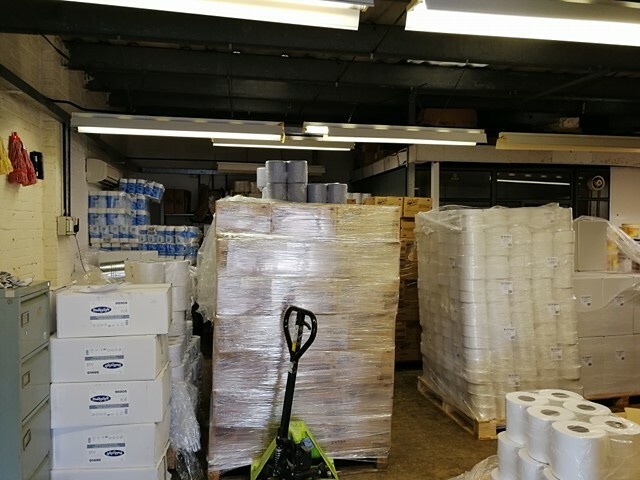 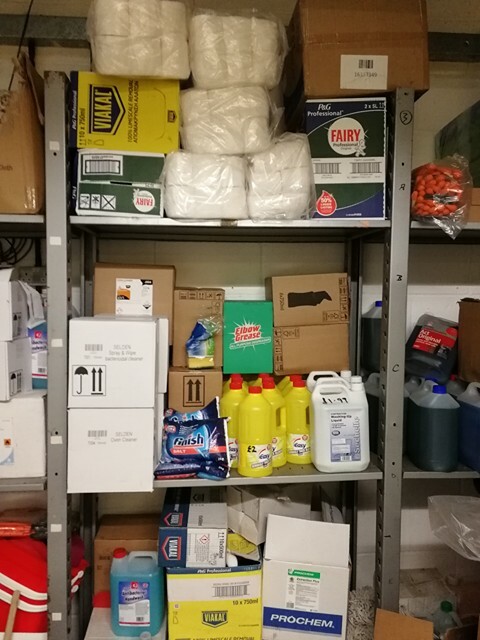 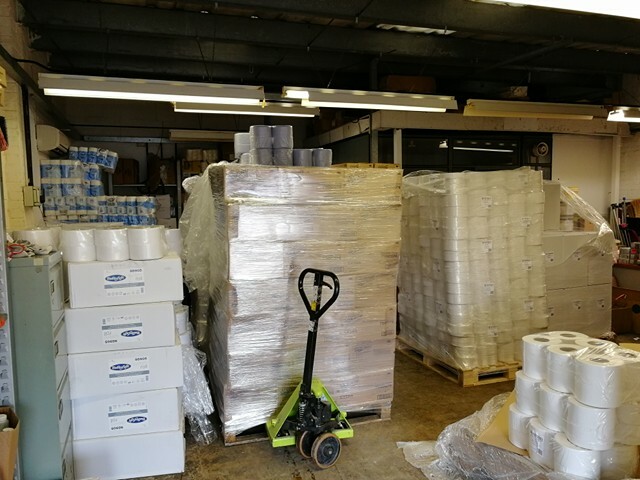 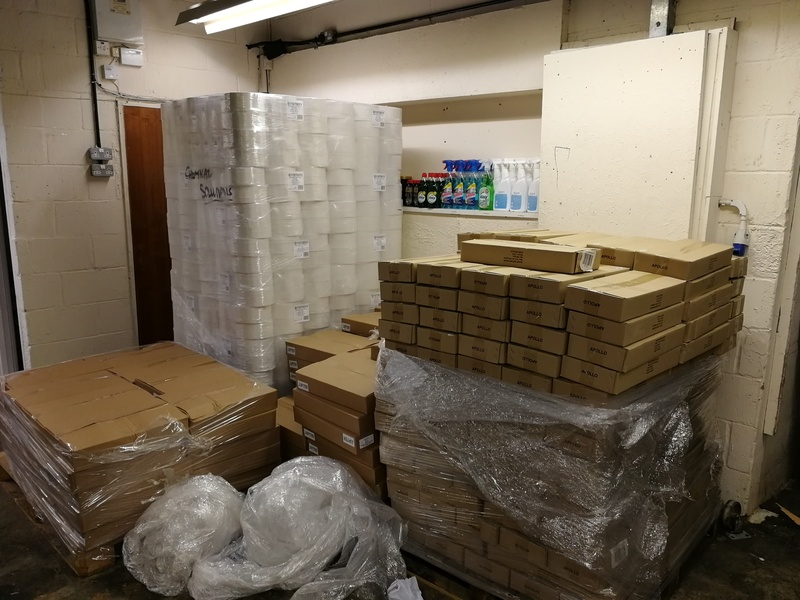 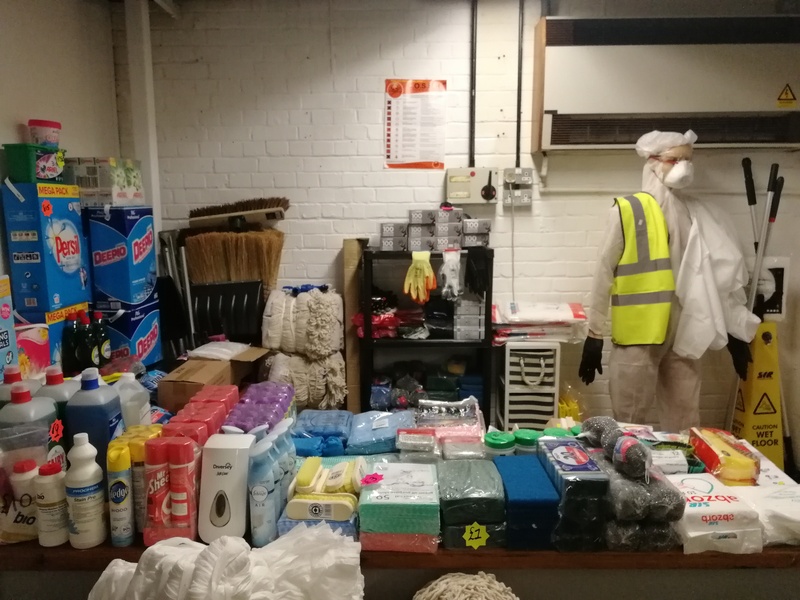 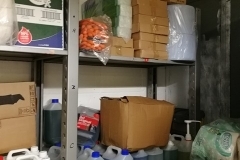 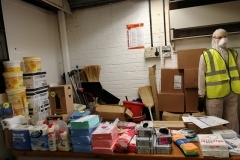 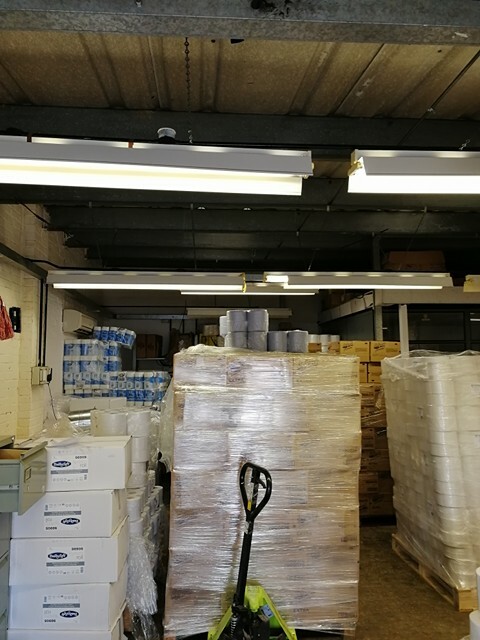 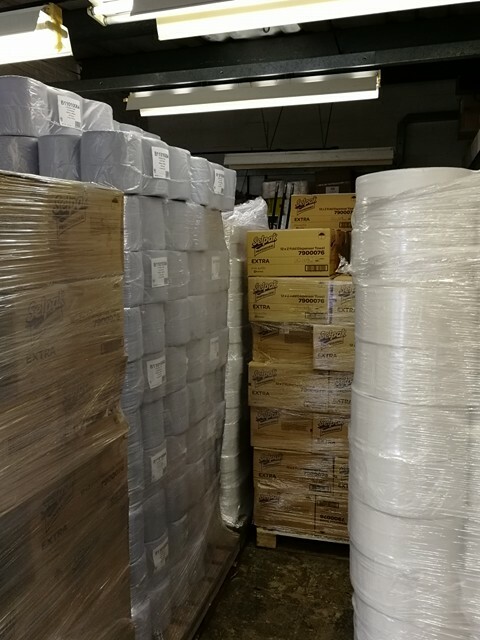 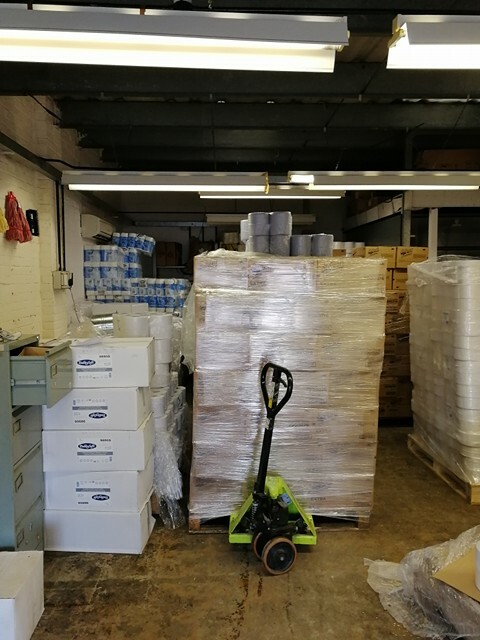 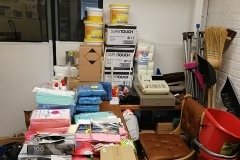 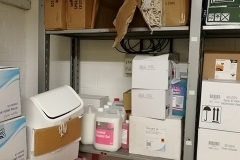 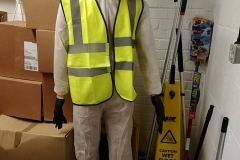 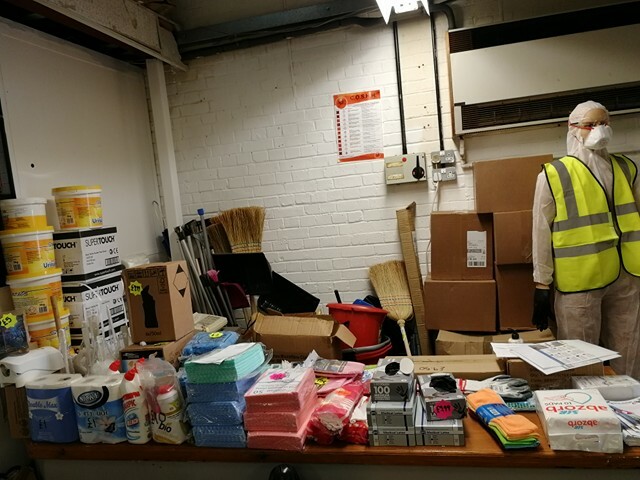 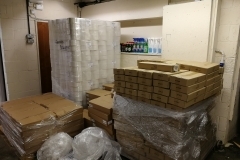 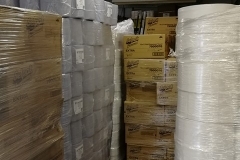 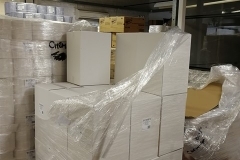 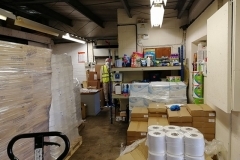 We try to keep as much stock in as possible and price as many items as we can, but please be aware that just because something isnt in the warehouse at that particular time, it doesnt mean that we cant order it for you or that it may even be stocked a few days later. 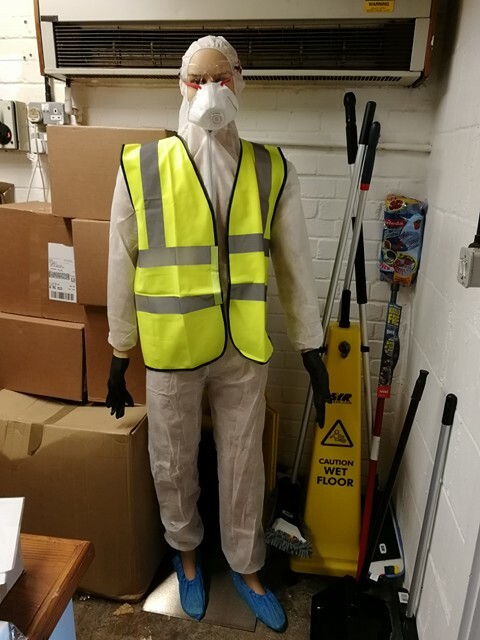 If you wish to visit us but can not make it between those hours then please feel free to contact us on 07778934570 and we can arrange a suitable time.